Hi Dealsnloot Readers, We Are Here Among All Of You With One New Trick Which Provide You Products Worth Rs 300 At Just Rs 50 Only. The Site From Which We Buy Product At Rs 50 Is Named As Printvenue. Printvenue Providing Customized Products With Good Quality Always At Lowest Cost Than Other Sites. 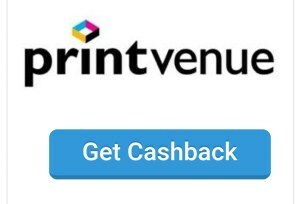 We Will Use Paisa Get Website To Get Rs 250 Cashback On Our Order Worth Rs 299 From Printvenue. You All Know Cashback On Any Product Is Given By Any Website Within 3 Months , But Here Paisa Get Website Is Totally Advanced & Paying Cashback Within 1 Hour. 2. Sign Up With Facebook Or Via Any Method. 3. Verify Your Email , If You Manually Signed Up. 5. Now Click On Get Cashback. 6. Now You Will Be Redirected To Printvenue Website. 8. Now You May Have To Customized That Product By Uploading Your Pic Or Text. 13. Now Make Payment Via Any Method Or Paytm. 15. Your Cashback Of Rs 250 Will Be In Pending Stage , But It Take Less Than 5 Hours To Get Approved. 16. When Your Cashback Is Approved Transferred It To Paytm Wallet Or Bank. 1. 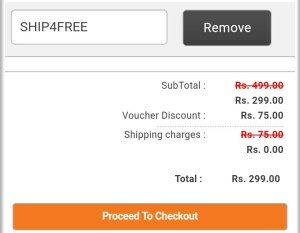 Cashback Will Be Credited For Orders Worth Rs 299 Or More , Exclude Shipping Address. 2. Cashback Will Be Approved Within 4 To 5 Hours Of Placing Order.